Nashville Insider is a fast-paced syndicated country music and entertainment news series with new episodes airing each week. This exciting program gives the Nashville Insider viewers a sneak peak at all things country music. We go behind the scenes to provide access to fans’ favorite artists and country music’s hottest events. We deliver the latest in trending headlines and social media. We provide up-to-the-minute reporting, making Nashville Insider the go-to-source for country music news and information, and the only TV series of it’s kind from the heart of Music City. You’ll see country’s big stars, traditional troubadours and the best new artists at premiere parties, on the red carpet and backstage at award shows, at #1 celebrations or music video shoots, and much more. Nashville Insider’s energetic hosts and reporters bring you the stories behind the hit songs direct from the hit songwriters. We’ll visit with the hit song makers and learn who’s on the move among budding artists and music makers. Nashville Insider is the premier destination for the artists and musicians to give their fans a first hand look at new projects and to share all that is happening inside of their world. Nashville Insider is all about getting the scoop on what’s happening this week in country music! It’s entertaining and it’s a whole bunch of fun! Nashville Insider airs 52 weeks of 30 minute episodes annually reaching 100 million households. Casie Mason anchored national news and live red carpet events for RFD-TV as well as reported breaking news for ABC’s “Good Morning America” and CNN’s “Headline News.” In Nashville, Tennessee Casie also anchors RFD-TV’s “Market Day Report”. She has interviewed country music icons Garth Brooks, Trisha Yearwood, Loretta Lynn, Alabama and Luke Bryan among many others. 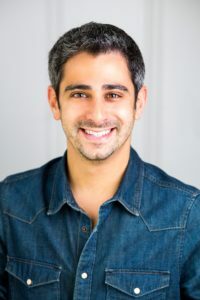 Adam Wurtzel won a competition to host “GSN Live” on Game Show Network from Los Angeles and later was named backstage correspondent for CBS’s “The Early Show.” In Nashville he is a CMA nominated host and reporter and much sought-after country music host and reporter (WSMV-NBC Nashville, The Pickup). He has interviewed everyone from Ryan Seacrest to Dolly Parton. Jennifer Vickery Smith, as a freelance entertainment reporter and producer, has interviewed some of Music City’s most popular and intriguing music artists from Dolly Parton, to Tim and Faith, to the biggest names in Christian music. Her work has been seen on Fox News, Entertainment Tonight, Access Hollywood, GAC, Good Morning America and locally on WSMV, Ch 4. Jennifer teaches a class about Nashville’s rich music history at Brentwood Academy and enjoys time with her husband and two sons. Kacy Hagerty has hosted entertainment and lifestyle shows on NBC in Nashville for nearly ten years, interviewing the biggest stars in the industry from Taylor Swift to Dolly Parton. Kacy has hosted countless red carpets as well as the country music celebrity interviews of Nashville’s Flood Telethon in 2010 which raised $1.7M for Nashvillians in need. Kacy’s work has appeared on national platforms including a nightly special of Better TV. Caroline Cutbirth Hobby is a former member of the country music trio Stealing Angels. She is an accomplished songwriter, publisher, record label promoter, emcee, podcaster, and two-time competitor on CBS’s “The Amazing Race.” She is married to Michael Hobby, frontman of the country music group A Thousand Horses.